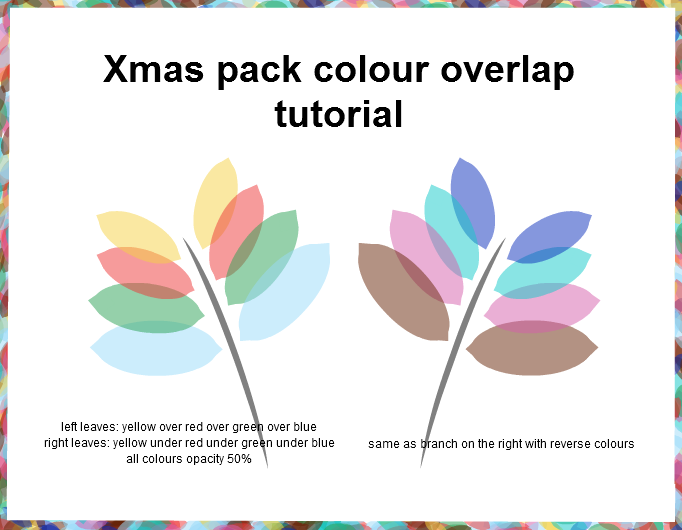 Combinations of the basic eight pack colours are of course awfully many. Playing with opacity degrees and number of overlappings it's possible to obtain many interesting shades of colour. This is a little contribution on the most elementary way to combine them. some of them looks better on black background.